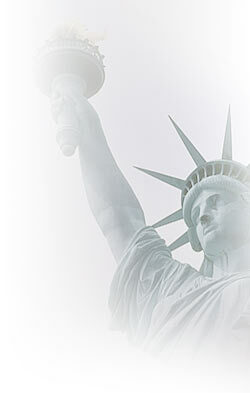 The purpose of Jews in America.com is to present a factual history of the contributions that Jews have made to the United States from Columbus' time to the present. When we read American history or study it in our schools, there is seldom much mention of the Jews. Most Americans might judge from this that the Jewish people have had little to do with the history of the United States, or that the Jews are newcomers who arrived after others had founded the nation and made it great. But this happens to be far from the truth. Jews have been here from the beginning. Marranos, Jews forced to convert to Catholicism by the Spanish Inquisition, helped finance the explorations of Christopher Columbus. On Columbus' first voyage, at least five members of his crew were Jews. One of the first to set foot on the New World was a Jew. From that time until today, Jews have been an important part of the American story. Even before the United States emerged, Jews made their contributions: Haym Solomon helped finance Washington's army during the Revolutionary War. In 1775, a Sephardic Jew represented South Carolina in the First Provisional Congress. Jews fought on both sides during the Civil War, and they gave of themselves in every national crisis since. Whether emerging out of the leisure classes of Germany or the impoverished villages of Poland and Russia, they brought to America the dreams and energies that helped define this nation's character and contribute to its strength. It will be objective and not slanted in any way. It will have an Advisory Board which will be called upon to certify as to the factual information contained in this website. We believe this can be utilized as an educational course in our public schools as well as universities. It will bring a better understanding and kinship between Christians, Muslims and Jews by explaining the roles the Jews have had in adding to the greatness of this Nation. Funds will be utilized for office rental, telephones and other office expenses as well as research, website design and staff members. Establish one of the finest and comprehensive websites on the contributions that Jews have made to this great country. Create a team to research and explore the unique history of Jews in America and shed new light on those great contributions. Develop and produce an hourly TV program to air on the History Channel. Prepare a program and film for presentation in elementary, high schools and colleges. Generate interviews on talk radio and TV. Promote “Jewish History Week” by bringing together Jews, Christians, and Muslims in a nationwide celebration of these contributions.